Whether you’re looking to treat your bestie, your sister, your mum or even yourself, you’re bound to find something here. 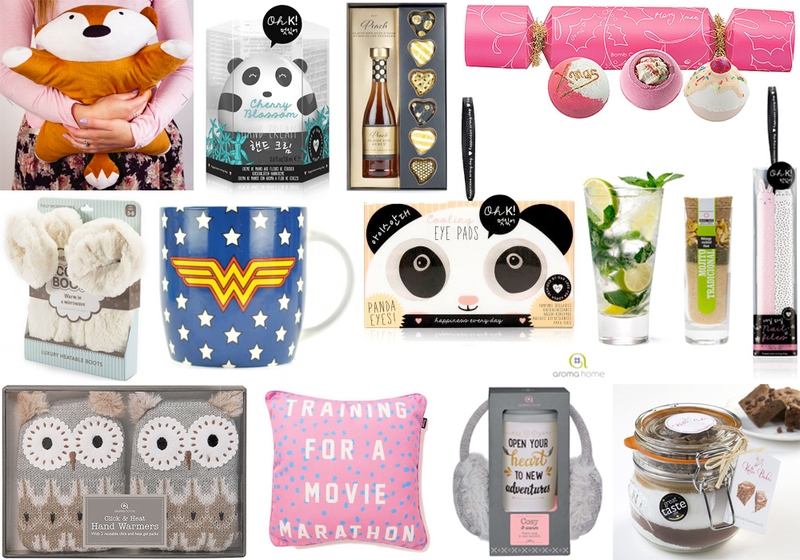 From bath bombs to brownies and cocktails to cushions, Santa’s gonna wanna peek at this gift guide! I have to admit, I’m loving the kawaii beauty items, despite them not usually being my kinda thing. I’m a sucker for cute packaging! *I was gifted this to review by Totally Funky. Click here for more. The amount of pandas in this stash makes me incredibly happy ;p Adorable post! some really cute ideas for us gals!